We have a busy schedule, so we don’t have a lot of time to cook on weeknights, and we like to have leftovers for lunch. A quick baked pasta is the perfect solution! Add a simple salad and some red wine. Perfecto! Check out some of our key tips on how to make the best baked pasta! We make Mamma Agata’s tomato sauce. You won’t need all the tomato sauce for this baked pasta, so either freeze the rest or plan another dinner to use what is left. You’ll want to use a thicker shape pasta. We love to use penne or orecchiette for baked pasta. The key is to make sure you undercook your pasta because it will continue to cook in the oven. Al dente (toothy) tends to be 1-2 minutes less than the package states, so for baked pasta, cook it 2-3 minutes less. You can use mozzarella, throw in smoked provolone, but please use the fresh mozzarella and not the pre-shreadded kind. Trust us. It makes a difference! 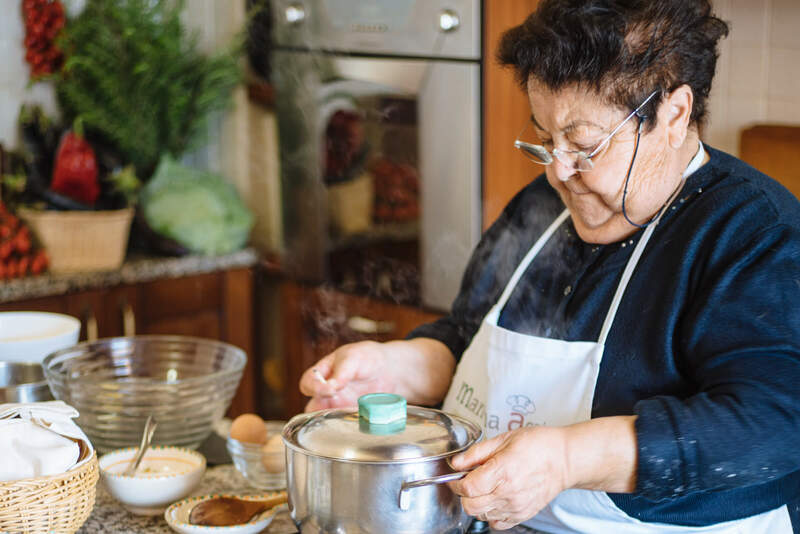 To learn about our day in Mamma Agata’s kitchen, check out this post. Cook pasta according to the directions. Cook 2-3 minutes less than directed. In a baking dish put a layer of pasta, sauce, mozzarella, basil, and repeat. 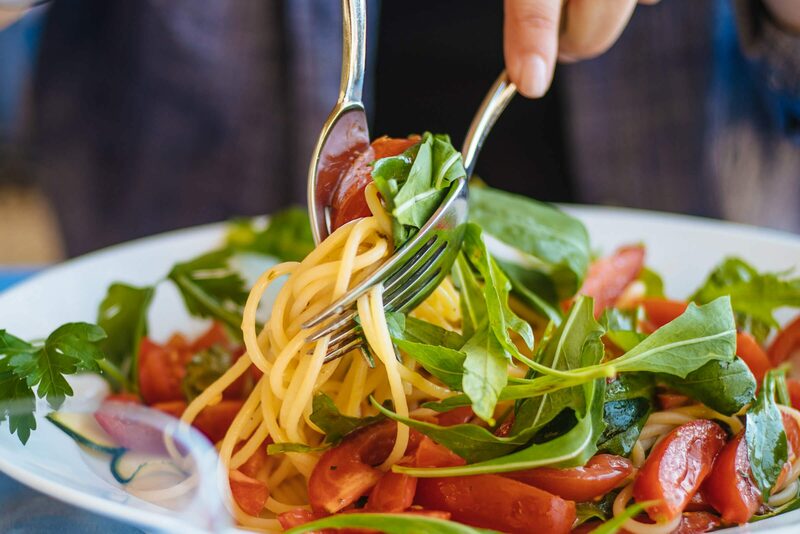 Finish your last layer with mozzarella. Bake at 350 degrees for 20-25 minutes, or until the top is golden and bubbly. If you need to brown it more you can put on the broiler, but be careful not to burn it! Once you take it out of the oven, let it rest for 5-10 minutes.